The SDURO AllMtn bikes are equipped with the powerful and reliable Yamaha PW drivetrain which feels pure and natural while riding. These robust aluminum full suspension frames have 150 mm of travel and a well-balanced tour geometry, making these bikes capable of riding on a variety of terrain. The SDURO AllMtns are great all-arounders. MC508 now ships to any of the 48 continental united states - please call/text for details. 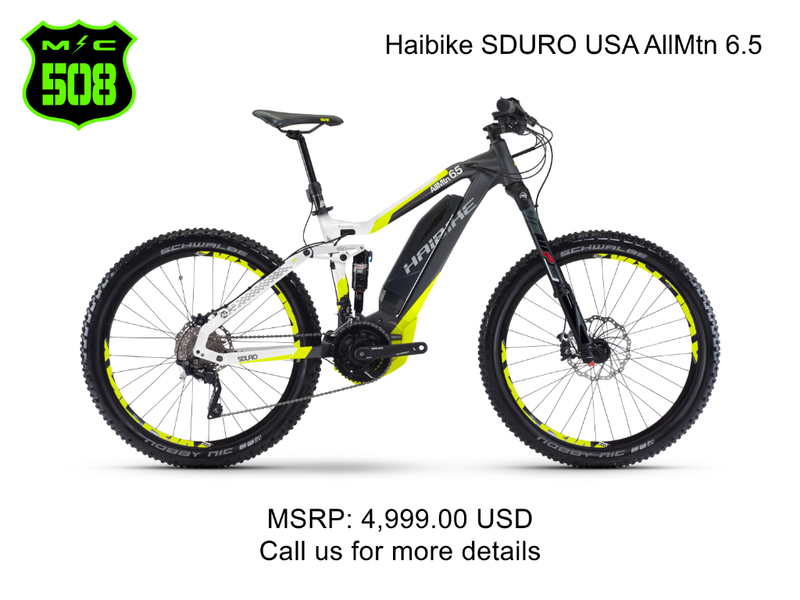 Message: Thought you might be interested in this 2017 Haibike Sduro.